Dr. Steven Hochfelder has helped countless patients in and around Lake Mary thanks to his experience and sincere concern for his patients. 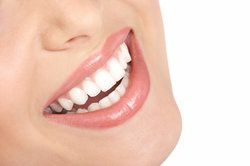 By offering the latest in cosmetic dentistry to enhance the beauty of smiles and advanced restorative dentistry to improve dental health and wellness, he has improved the lives of countless people in the community. Good dental health starts at home, however, and there are a few things that you can do to ensure your smile is its absolute best. Here are 10 tips to keep in mind. The obvious tips are sometimes the best ones. It's imperative that you brush your teeth at least twice a day. Ideally, you want to brush your teeth after every meal as well. Another bit of obvious advice, flossing is essential for taking care of the hard-to-reach spots between the teeth. Be sure to brush at least once a night. If you want to be extra thorough, be sure to floss after every meal. Contact sports and combat sports can lead to major injuries to the teeth, or gradual damage to the teeth over time. Be sure to wear a mouthguard in order to prevent major problems with the health and appearance of your smile in the long run. Smoking and smokeless tobacco are bad for your general health, and they aren't great for your dental health either. Tobacco will cause tooth discoloration, increase your chances of developing gum disease, lead to bad breath, and boost your risk of oral cancer. Quit or just don't start. Biting fingernails and chewing on pen caps isn't just a social faux pas. Over time, this causes damage to the teeth as well. Be sure to eliminate bad habits and only bite and chew what you're supposed to. Water helps keep your mouth moist and clears away harmful substances lodged between teeth. Be sure to stay hydrated in order to maintain a healthy smile and general overall wellness. Tooth erosion refers to the deterioration of tooth structure caused by an acidic pH in the mouth. This is usually caused by the consumption of carbonated beverages, coffee, and citrus fruits. Be sure to be mindful of acidic substances you consume and to drink water with these substances in order to restore a more balanced or alkali pH to the mouth. Here's another no-brainer. Sugar can be harmful to your teeth and lead to the faster formation of cavities. Rather than snack on sugary things, consider avoiding sugar when you can and have something healthier instead. Your regular appointments with the dentist twice a year are crucial for lasting dental health and wellness. Don't take them for granted and be sure to show up as scheduled. To learn more about what you can do to improve your overall dental health and wellness, be sure to contact our cosmetic and restorative dental care center today. Dr. Hochfelder and the entire team here looks forward to your visit and helping you achieve optimal dental health.